Daniel is the local Electrician for Springfield Lakes and surrounds in Queensland, providing both residential and commercial electrical services. 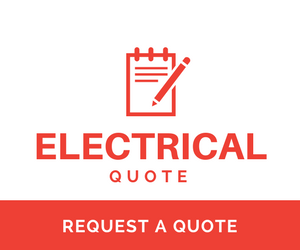 Jim’s Electrical in Springfield Lakes pride themselves on providing free electrical quotes, fast service, competitive electrical rates, fully insured and licensed electrical services, reliable service, and clean-up after job. Daniel is proud of his reputation for delivering a high level of customer service. Daniel looks forward to discussing your electrical requirements. Our Springfield Lakes electricians can easily be contacted by calling 131 546. Rewiring, New Wiring, Ovens & Cooktops, Water Heaters, Home Automation, Pool pump Wiring, Shed Wiring, RCD's (Safety Switches), Smoke Detectors, Telephone & Data Points, Power Points, Switchboard Upgrades, Down lights, 3 in 1's, Chandelier hanging, security & sensor lights, outdoor patio & entertainment lighting, LED lights, Fluoro's, emergency lighting, energy efficient, lighting, Pool Lighting. Please call 131 546 for immediate service. Troubleshooting or diagnostic work will be charged at an hourly rate but come under one minimum service charge.